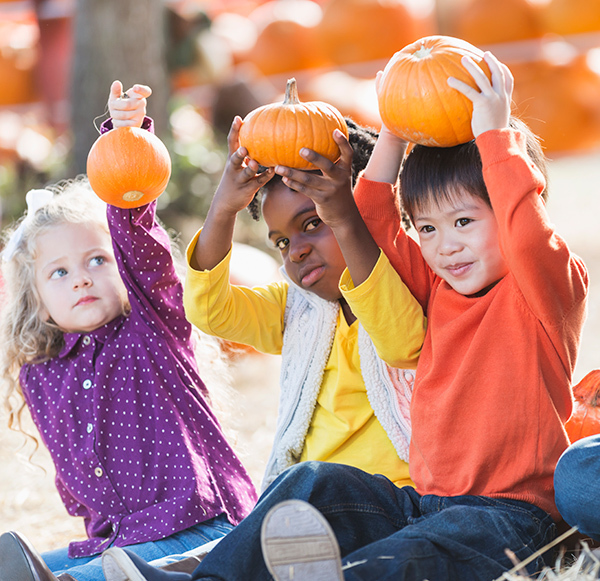 Celebrate the season at the Millenia Fall Fest! 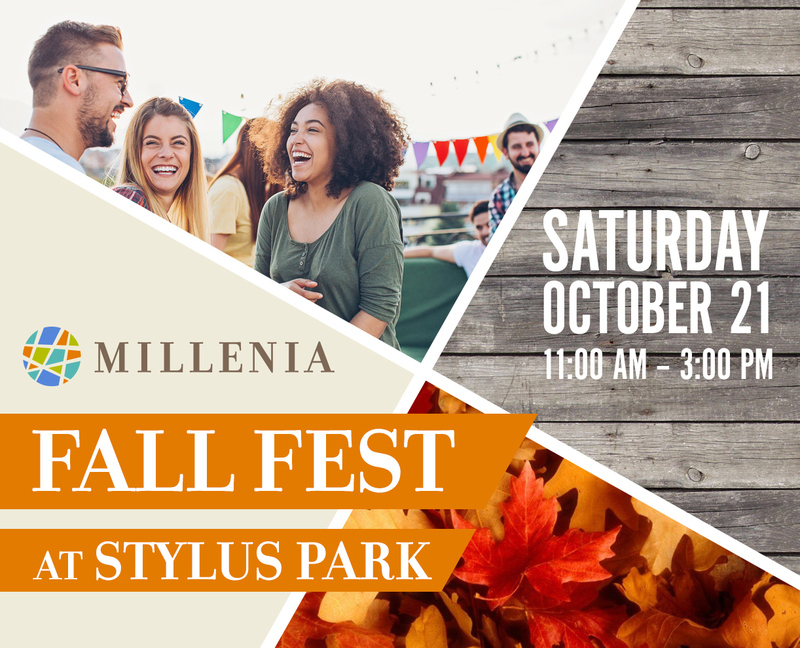 Join your friends and neighbors at Stylus Park for a day of food, entertainment, and fun for the whole family! Have a picnic in the park with snacks and hot dogs, and fresh churros. Try your luck at fun carnival games and activities, with prizes for the kids! Face painters, a caricature artist and DJ will keep you entertained all afternoon. DOES YOUR FURRY FRIEND HAVE WHAT IT TAKES TO WIN? Enter our Top Dog Photo Contest! Millenia is perfect for pups. There are parks in every direction, not to mention one designed especially with canines in mind. 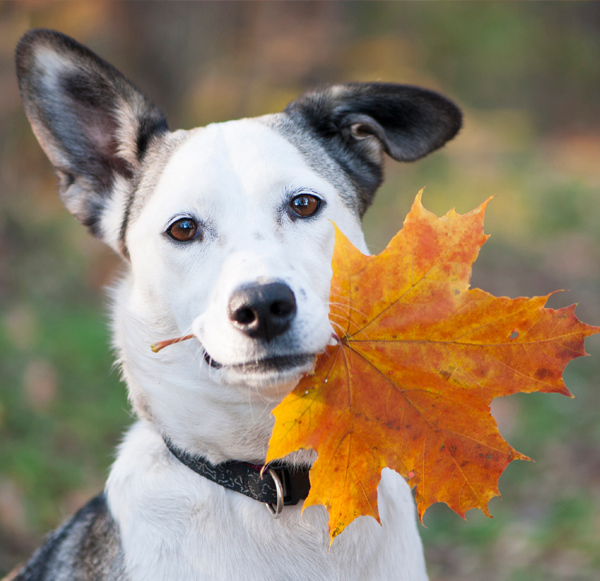 So we’re celebrating our first Fall Fest the best way we know how: with dogs! Snap a pic of your pooch and send it to us for a chance to win one of five fabulous shopping sprees at Otay Ranch Town Center! ALL ABOARD THE SAN DIEGO TROLLEY! 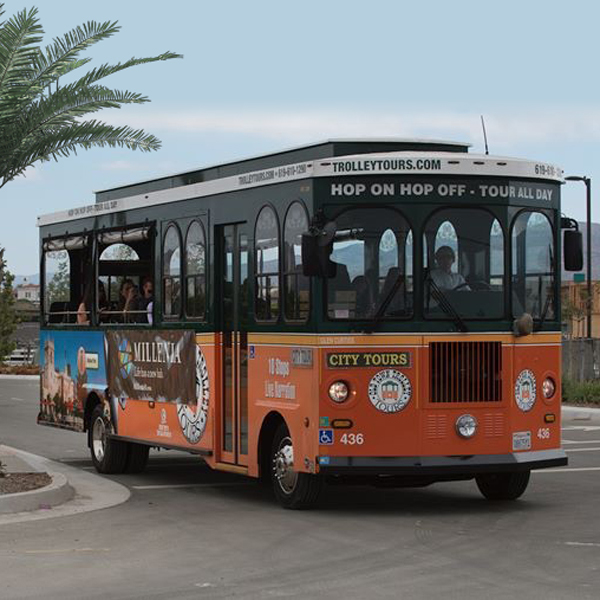 Take a trolley tour to learn more about Millenia. Every day is a walk in the park at Millenia! No matter which neighborhood you choose, you’re within easy walking distance to parks, promenades, shops, restaurants, and the local market. Visit our Discovery Center to find out what life at Millenia is all about. Be our guest at the Millenia Time Capsule dedication ceremony. will formally dedicate the Millenia Time Capsule to the people of South County at noon. 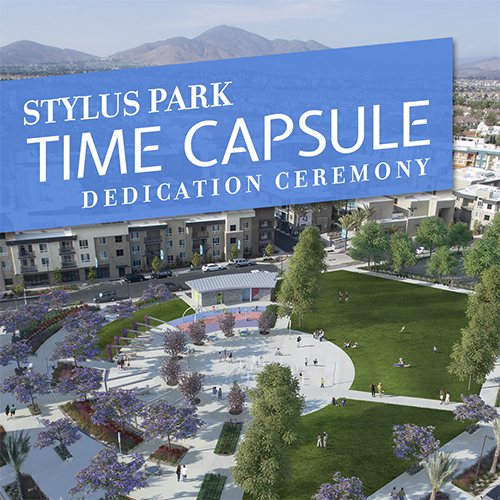 Housing a variety of artifacts, the time capsule serves as a reminder to future generations of our commitment to the community and the people who live here.